For those who haven’t seen Mr. Bean, it’s basically a British sitcom created by Rowan Atkinson and Richard Curtis, and starring Atkinson as “a child in a grown man’s body”. Bean rarely speaks, and the largely physical humour of the series is derived from his interactions with other people and his unusual solutions to situations. The pilot aired on January 1, 1990 and the rest is history. 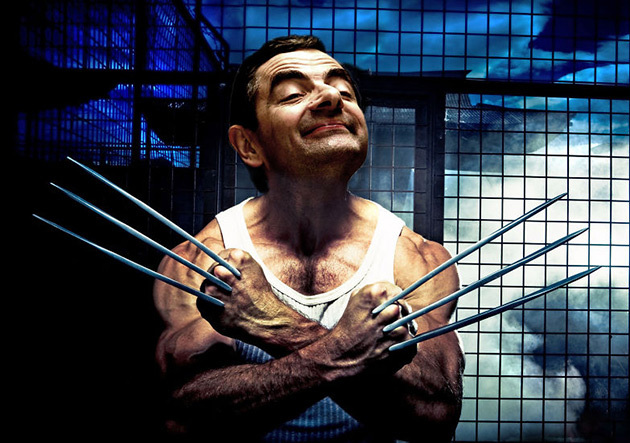 Recently, Photoshop gurus on the internet have decided to place Mr. Bean’s face on famous characters, such as Wolverine. Continue reading to see more. Click here for a few bonus images.